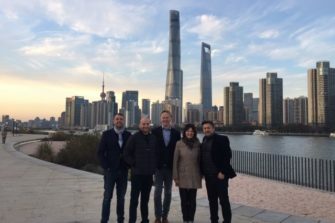 On the morning of Tuesday 19th March, the Advertising Association launched our first ever Annual Exports Report at Ad Week Europe. 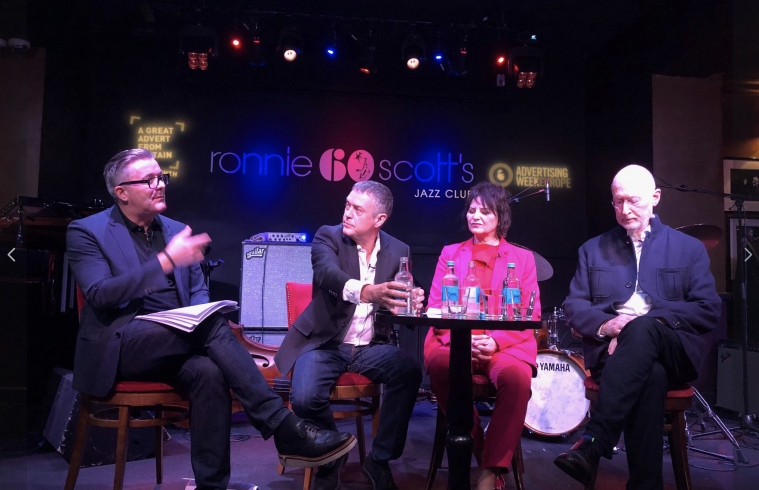 The launch took place in a standing room only Ronnie Scott’s Jazz Club, as industry practitioners packed in to hear from Ad Week founder Matt Matt Scheckner, Credos director Karen Fraser, Promote UK chair Janet Hull and other speakers about the key facts and figures of the report. “Without question the creative industries… [are] a vital part of the pathway going forward for this country’s economy, no matter what the rules of the road are. 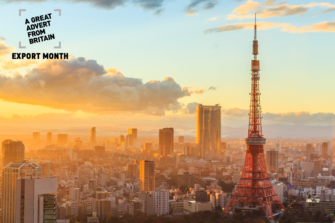 “We are in the middle of the industry’s first ever Export Month, which is under the Promote UK organisation which is run by the Ad Association in partnership with the IPA, with tremendous support from the Department of International Trade. We’ve had the first ever UK advertising day at SXSW, at which we took over the British Music Embassy… and we’ve had the APA’s Tokyo-London forum. You can see it’s important not just to us, it’s important to the people who shape our macro economy and the policies in that economy as well. The report itself, compiled by the industry’s think tank Credos, provides some welcome optimism about the UK advertising industry’s success despite wider worries around Brexit. 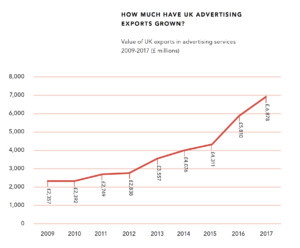 Among other stats, it finds that international trade in UK advertising services reached £6.9 billion in 2017. This is an 18% increase on the figure of £5.8bn registered in 2016, outstripping overall UK service exports which grew by 7% in comparison. The data also demonstrates the continuing importance of EU markets ahead of Brexit, with the £3.2bn in 2016 exported to EU nations representing 55% of advertising exports. The percentage of all UK advertising exports going to Europe, including both EU and non-EU countries, was 59%. She cited the expertise in neuroscience demonstrated by UK delegates at SXSW as indicative of the reasons why so many brands and advertisers outside the country still look to the UK as an industry leader. Finally, worldwide chief executive of M&C Saatchi Moray MacLennan provided a timely reminder that for all the issues the UK faces as a result of a potential Brexit, it is still a powerhouse that enjoys historic advantages over other regions. 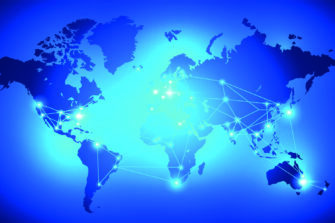 Consequently, he believes that any export strategy employed by UK firms looking to expand into new regions requires finding local talent, being aware of different payment terms, being flexible and respecting local culture.